Recording Merk's études op 11 for Musicaphon triggered my interest in Joseph Merk's life and works. 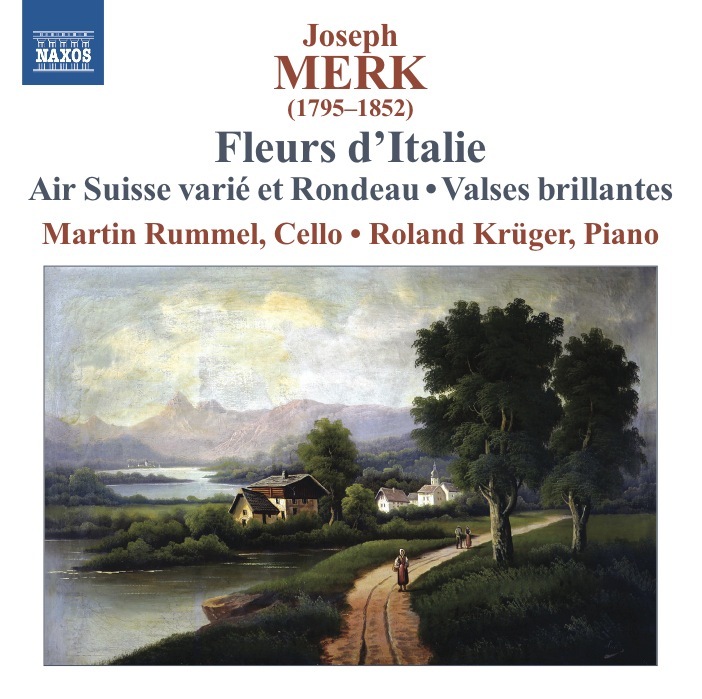 In various libraries I found copies of "Fleurs d'Italie", the "Air Suisse variè", the "Valses brillantes" and a number of other pieces that we decided not to record. My friend Roland Krüger agreed to do this recording with me, and he undertook the task of learning all those pieces without having a full score (as it was usual in the 19th century) - we only had a piano part and a cello part. Merk's writing for the cello is skilful and highly original, and rehearsing all these famous opera arias was great fun. Merk is a true representative of the Biedermeier era which gave me the idea to have the Lubin painting that is hanging above my sofa reproduced for the cover of the recording. The photographer Marlene Fröhlich did a fantastic job and I am happy to have such a beautiful link between my home and this recording.